Just roll it over your greenhouse frame and attach! 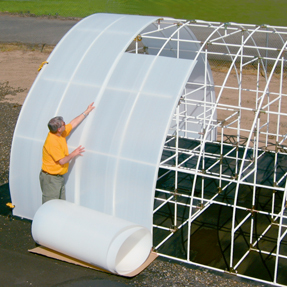 Solexx™ greenhouse covering is preferred by commercial nurseries for its durability, diffused light properties, and energy savings. The strong, twin-wall sheeting creates a soft, diffused light plants love -- and it's easy to install!